Put all the ingredients in a large heavy-bottomed saucepan, and simmer on a low heat until the carrot is tender and the chutney takes on a slightly sticky appearance. This takes approximately 35 to 40 minutes. Putting this chutney in tiny jars to makes great presents, but taste each batch for hotness. 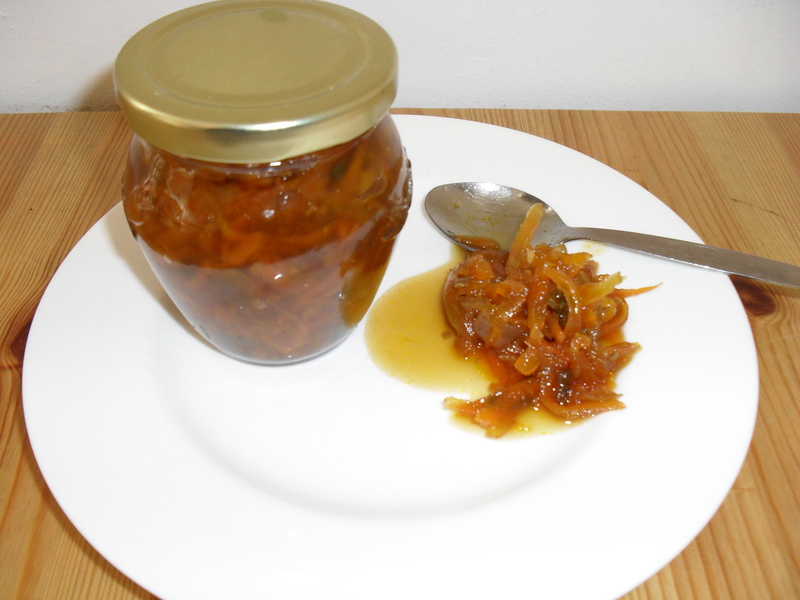 A great spring time chutney, it goes with everything from cheese, homemade pork pie, to cold sausage.